For centuries there have been games where children pretend to divine their future. 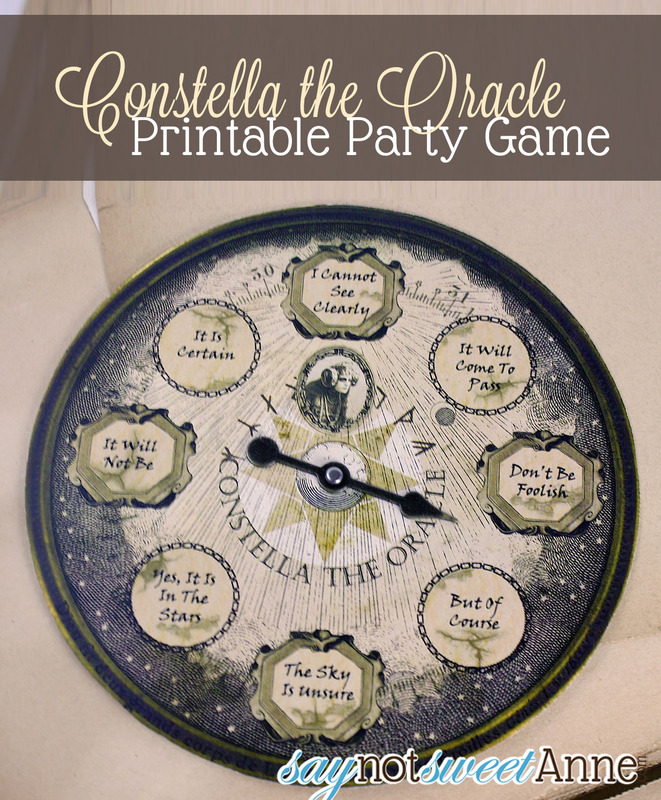 From dripping wax into water, to casting a glance through a mirror over your shoulder, to a magic 8 ball, these types of games have always been a hit party game. So, in preparation for a Halloween Party my sister is throwing, I made a spooky themed fortune telling party game! Its easy as pie to put together, and for $3, its one of the most popular items in my Etsy store. For the first version, everything is done for you. Once you get the PDF you can print and make as many as you want! But then I got to thinking- what if the kids would prefer to build their OWN oracle? So I’ve created this free template that may be used as a project or a party favor. The object of the device is simple. Spin the arrow, and where it lands is your answer. 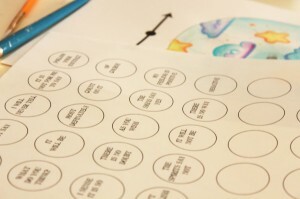 The free template has a variety of phrases to choose from (Just in case someone wants all of the answers to be yes). 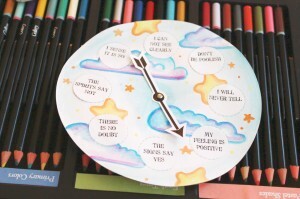 The blank oracle base is the perfect surface for creative children to color, paint, or otherwise customize their oracle. Download the Blank Oracle Template. Crayons, markets, paints etc. to decorate the oracle. Print out the Free Template on card stock. 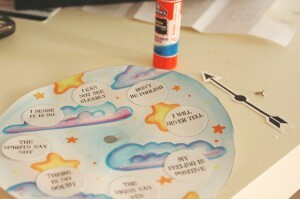 Cut out the large base circle, the arrow, and the phrases you would like to use. Use a sharp object to poke a hole in the middle of the arrow, and the center of the base. Use the brad to attach the arrow to the base circle. Do not make it too tight, or the arrow will not spin.